We were reading in Ezekiel this morning about a people who had gone off the deep end. The laundry list of their day-to-day began with things we might consider mild, but then God's description of them takes us further and further down the rabbit hole, to a place so dark and void of reason that it doesn't even seem possible. And yet we know these things live under the rocks in the world today, these days even more so in the sun. They once peeked out at us from the headlines of some far away news story, but not anymore. Today they visit us nearer than the shadow of our steeples. In the beginning, with the people in our story, it was the little things. But the little things did something, something maybe so subtle in the beginning that one can only assume it was never noticed or taken seriously, and thus began the slipping, slipping, sliding... The people began to ignore the Sabbath, but came to despise God. They lost their hospitality, but then they began to look at ways to even trick strangers and rob them. They didn't respect their mothers and fathers, didn't obey them, and then they began to despise them and even mock them. They became disgusted by Mom and Dad. Maybe those didn't seem like big things, society was free after all. The rules and laws of God were coming down, the old way of the parents was stale and silly, and besides, this was a time of freedom for all men. Tolerance was the new world, and that was a world that didn't need God. 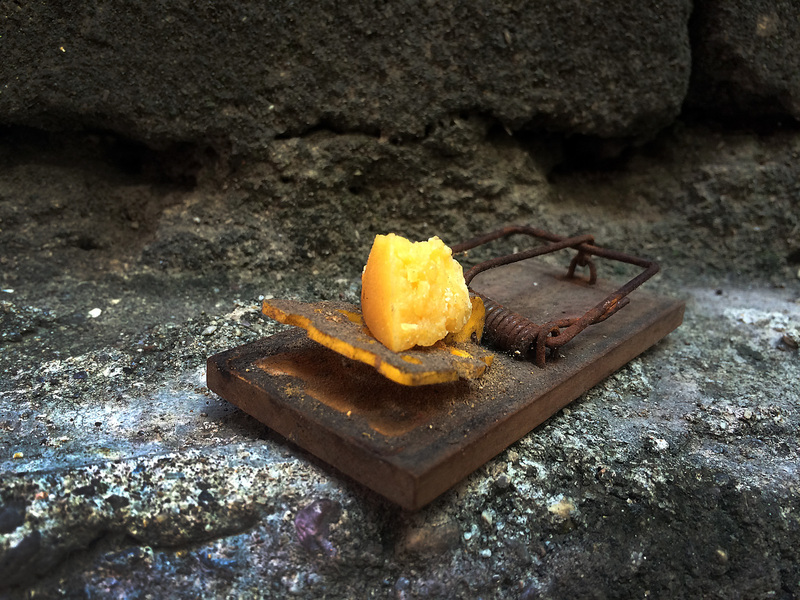 How sweet is a false liberty, like a mouse to the beckoning fragrance of cheddar, so bathed in bliss that it can't hear the quaking in the bended spring...It has no thought of such evil contraptions, and neither do we. God continues to turn out the light of the lantern in our story. The brightness begins to chase away and, if you're looking, you can see the battle for inches between good and evil, a rumbling that must have played out over the course of years. Mostly it must have lived on in the shadows of the mind where none could see the smoke to call out the alarm and ring the bell for all to come running with buckets to what may have surmounted to a 4-alarm fire. The world was burning, but they didn't see. They began to worship idols, and the violations spread from the carved things of clay and wood to that of flesh and bone. Men began to take what didn't belong to them. Fathers even began violating their daughters, brothers violating their sisters as the twisted curse began to leave it's brand on the hind quarters of man. Bribes were accepted for murder, and all anyone could think about was me, me, me. The light of the lantern dimmed to a hiccup of a flame, and then the glow was lost in a smolder of smoke. Snuffed so nonchalant that there was not even notice of the cold and empty sadness. The single overbearing question in the back of the mind is, "How?" How does a people arrive there, where THAT becomes OK, normal, nothing special? How do you fall that far? How does someone not stand up and fight for the light to return to the blind? Then God gives His answer. How? They forgot Me. That's all we have to do? Believe it or not, the rest of the battle is fought in small measures, inches here, but miles there. Haven't we all given inches already? Haven't we compromised and tolerated and loosened ourselves from the hand of God already, and all in the name of freedom and liberty? If you can't say it, I will. Yes. We have. And I know we have, because I have. I am guilty. My back is not turned to God, not today, but isn't that only a question of time if I play with the ideas that we are playing with today? God's laws, God's rules, are for Life. He looks at us kicking in our blood, and He breathes upon us. He says, "Live!" And by His Word alone we can have that. Real life. That's His desire for us, and He lavishes the blessing upon us. But then what? Light comes into our world, but men love darkness instead of the light, and we turn it away. Why? Who would do such a thing, turn out the light in a dark world? We each have a natural root that drills deep into the soul, always looking for a little bit more of ME, unwilling to yield, and the addiction of Self helps us to make up our minds as we decide that laws and rules shouldn't apply to us or anyone else for that matter. We give up God's laws and rules for anarchy, for a life of no-rules, and what do we find? We find the simple opposite to the life that God would desire for us. When it has crept into the very nostrils of our souls and we can't breathe or even remember what the fresh air smelled like, will we too have arrived at that final place of getting what we've asked for? Do we really want what we are asking for, an eternity without Him? Or will we awaken in time to see that with His rules and laws, there is life and life abundant? The time to choose is now, to wake up to the horrible truth that in a society with no moral compass it is entirely possible to fall so very, very far, even to a place where there is nothing left but death and a way that seems right...to a man.